With Zeqr, your new favorite online coaching platform, experts from all around the world can connect with knowledge seekers (SMEs, entrepreneurs, employees, students, and the ever-learning individual) in a live and interactive session. 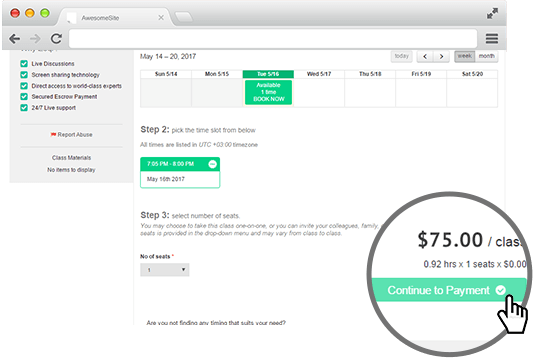 Zeqr is the platform that bridges the gap between retainer-based consultants and pre-recorded courses; offering you a personalized, worthwhile experience from the comfort of your home or office. Each session on Zeqr comes equipped with state-of-the-art technology embedded in the platform with voice and video call capabilities. In addition, there are screen-sharing tools and a chatbox that make Xperts’ online coaching experience a seamless one. Head over to the Find Xpert page and search for the topic of your choice. 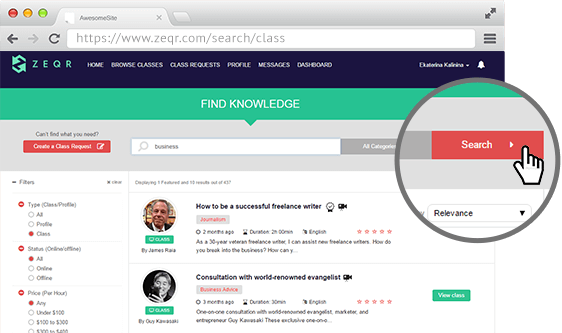 Zeqr features hundreds of topics and an abundance of pre-labeled Categories. On our platform, Xperts teach about business, health and wellness, programming, and so much more. Once you have found the class that suits your needs, click ‘View and Book’ to get more information. We advise checking our free class on learning the basics of Zeqr, hosted by Estefania, in order to get a quick overview of the platform! Once you have found the perfect class, click ‘Buy Live Class’ and you will be directed to the next page where you will be prompted to purchase the class. Your payment will be processed through our secure payment system. Note that if you want to cancel or reschedule a class you’ve ordered, you have to submit your request no later than 24 hours before the class is scheduled to begin. 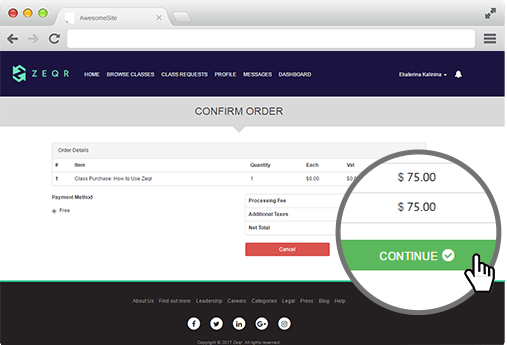 Be sure to check out Zeqr’s Terms and Conditions page to learn more. Once you have purchased a class, you’ll be able to see when the Xpert is available. If there is no availability stated, you will be asked to submit 3 time proposals, after which the Xpert has to confirm one. Xperts often respond within 24 hours. All booked and ready to go! To participate in your live session, start by logging into your account before the class starts. 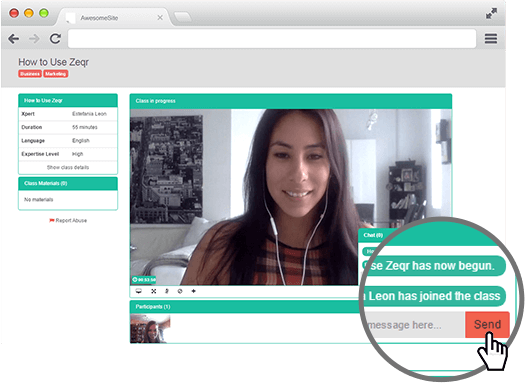 Then, to enter the classroom, click on your Dashboard, then “Zeqr (buying)” on the left-hand side, and then “Join Class.” Each session on Zeqr is live and interactive, with a maximum of 8 participants attending each live online session at the same time. Be sure to arrive 5-10 minutes prior to the class to ensure all technology is working. Our Xperts are carefully vetted to ensure that we have premium tutors on the best online coaching platform. 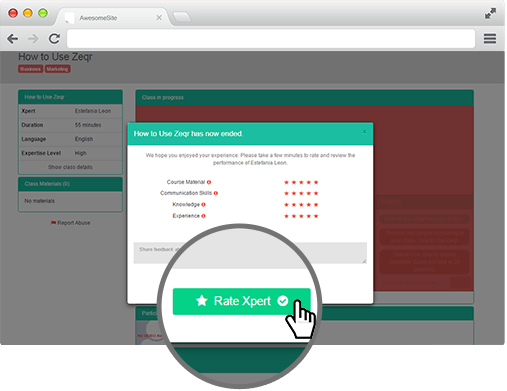 Once a class is finalized, you will have the option to rate and review your Xpert. We hold payment in escrow for 4 days. That said, in case a Zeqr is dissatisfied with his/her class, he/she will have 4 days to file a dispute that will be reviewed by our team. Quality assurance is the #1 priority at Zeqr! 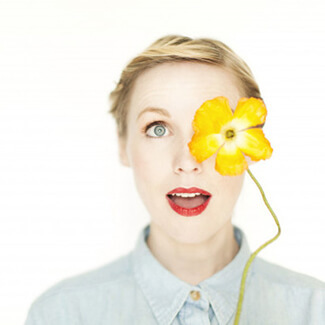 "Zeqr is the new frontier for sharing skills and connecting with creatives all across the globe." Now that you’ve read through these five simple steps, you’re ready to get started on Zeqr! In case you have questions or need any further assistance, you can find out more information here, or simply visit our Help page to get answers to some of the most frequently asked questions.